For the last 200 years, American presidents and their families have had the same address – 1600 Pennsylvania Avenue, Washington D.C. – a.k.a. the White House. This sandstone manor has 132 rooms, 412 doors and 28 fireplaces. Presidents’ Day is good time to see how much you know about your country, its history and political structure. 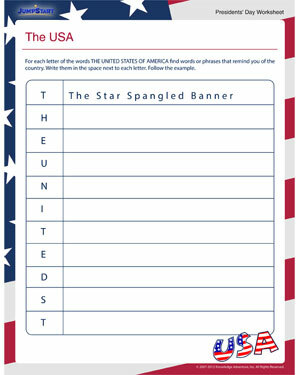 Why don’t you use this cool fun Presidents’ Day worksheet? We guarantee it’s as much fun as these interesting resources for Presidents’ Day!